The a6400 has the same wireless connectivity options as other recent Sony mirrorless cameras, with support for Wi-Fi and Bluetooth connections, plus NFC for contactless pairing for image transfer and remote control. Most of these functions work fairly well, though there are small hitches here and there that prevent it from being a fully seamless operation. With Wi-Fi connectivity, the camera can transfer JPEG images in reduced or full size to a connected smartphone or tablet, and this process is relatively pain-free. Images can be transferred immediately upon viewing by tapping your phone to the NFC symbol on the side (provided you’ve already installed the PlayMemories app on your phone), or multiple images can be transferred by selecting in camera on the phone. The a6400’s Remote Control works, but is still very limited compared to the earlier PlayMemories app. Wi-Fi also has built-in remote control, but just like I noted in my A7 III review, Sony has somewhat crippled the remote shooting application. 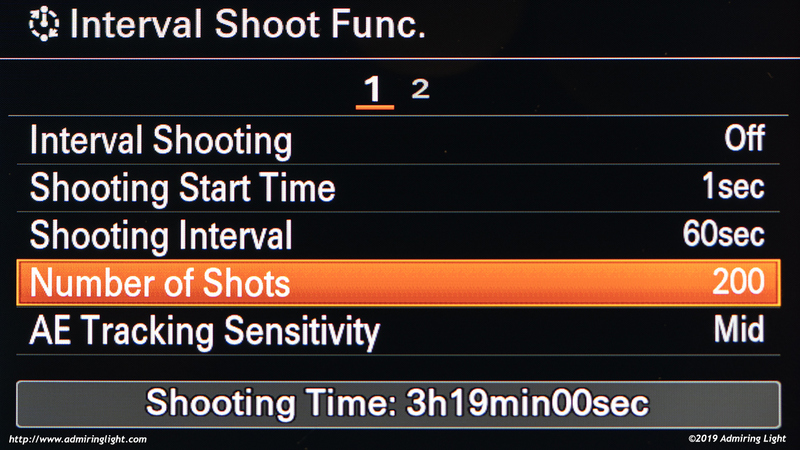 You are able to change most shooting parameters on the remote device, but not all of them, and most infuriatingly, you can’t select your focus point on the phone. When Eye AF is active, this works fine for portrait shooting, provided you have one person in frame, or multiple at the same plane of focus, but it is problematic when shooting group shots (one of the main reasons you’d use a remote application), and when shooting things like landscapes, where focus point selection can be critical. I’m not sure why this feature was removed, as it was available in the enhanced remote shooting application that used to come in the PlayMemories store before they axed it. Sony has already developed the software for this to work, so I have no idea why it isn’t present on their current cameras…it’s somewhat infuriating. The Bluetooth connection is very handy for reducing the trouble of pairing the camera for Geotagging. In theory, one just needs to turn on geotagging in the app, turn on Bluetooth, and the camera will pair and record location for all subsequent shots. Pairing is a bit unintuitive, as it must be done through the app in order for it to work. If you pair the camera with bluetooth outside the app, it will show as connected on the phone, but the app won’t see the camera. Once that’s set up, the camera does connect seamlessly to the phone for geotagging…with one small quirk, at least on Android. With an Android phone, you get to take advantage of the NFC connectivity above, but with the bluetooth connection, it will only connect if the screen is awake. Once connected, you can lock your phone and shoot, but if you turn the camera off, when you turn it on, you will need to at least wake the screen to allow the camera to connect to the phone. It’s a bit of an annoyance, but at least you don’t need to fully unlock the phone to get it to connect. When Sony got rid of the PlayMemories store with the Mark III versions of the A7 series cameras, they got rid of some really nice software. The advanced remote shooting mentioned above, a unique smooth reflections app that stacked multiple images in-camera to create a stacked RAW file, some filter apps that I never really found useful, and an in-camera intervalometer for time-lapse shooting. While most of these are still gone as of now (Sony, please bring back Smooth Reflections), one of them does appear again as a built-in function, and that’s interval shooting. The Intervalometer is quite easy to set up. You choose a start time delay, which can be as short as one second after pressing the button up to 99 minutes. You then set the interval between photos (between 1 second and 60 seconds), and finally the number of shots to capture (up to 9,999). Taking those 10,000 shots with a 60 second interval will take 166 hours to complete, but you can do it if you have some sort of external power source attached. The camera also does the math for you, telling you the total time to capture the sequence at the current settings. You can also set the camera to autofocus between frames if you like, with a sensitivity for AF changes. It’s quite simple, and works the way you’d expect it to work. Like all recent Sony cameras (and most recent mirrorless cameras), the a6400 has an electronic shutter option for truly silent shooting. Also, like most of Sony’s cameras, the readout speed isn’t exactly the best, so while silent shutter can be used in both single shot and burst modes, it’s probably best used for subjects without a lot of motion. In shots where a subject or the camera are moving quickly, the silent shutter will introduce rolling shutter artifacts due to the slow readout. It is excellent for candid portraits or event work, however. Like the more recent A7 series bodies, the a6400 has an excellent Auto ISO feature, which allows the user to set how fast the shutter speed will be at a minimum. When set to Auto ISO (standard), the camera will shoot at a minimum shutter speed of 1 / (focal length * 1.5). This is the standard hand holding rule for sharp shots that has been a rule of thumb for decades. However, if you want to modify that, either because you are more or less steady than ‘average’, or your lens has optical stabilization, or you need to stop motion, you can change the minimum shutter speed algorithm to be faster or slower, in one stop increments, over the standard rule. If this isn’t enough flexibility, you can also manually set a minimum shutter speed between 30 seconds and 1/4000s. The a6400 uses the same NP-FW50 battery that has been a standard for the majority of Sony’s mirrorless cameras. While I understand the size implications of moving to a larger battery, I do wish they had opted to make the camera just a bit larger to try to fit the new big Z battery in it. As they didn’t want to change the form factor that much, we are stuck with the average at best FW50 battery, which allows the camera to be used for around 300 shots on a full charge. For heavy shooting days an extra battery or two will be necessary. Sony cameras continue to lack in-camera RAW conversion capability, and I find this more and more egregious the longer it goes missing. At this point, almost every other manufacturer offers in-camera RAW conversion, and Sony is being left behind in this area. Like the a6300, but unlike the a6500, the a6400 does not feature in-body image stabilization. It would definitely have been nice to have, but I think Sony really wanted to hit that $900 price point to compete with Fuji’s X-T30. 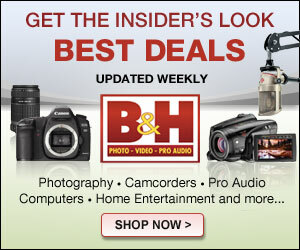 It also leaves some room for the a6500 at its higher price point. I do think eventually all of the APS-C cameras will have IBIS, but I think we’ll have to wait for the next generation.